Long before they founded their company, David R. Peryam, Ph.D., and Beverley J. Kroll, BS, MA, were laying the groundwork for the science of consumer testing. The two were pioneers in the sensory field and their research development work for the government and private institutions helped shape the current practice of consumer product research. 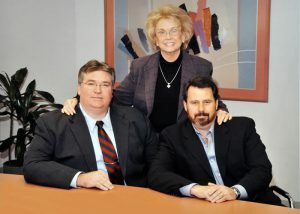 Dave and Bev established P&K Research in 1957 to provide sensory research services to industry. From the start, they were dedicated to helping their commercial clients grow their businesses by providing actionable consumer understanding gained through innovative research methods, superior study design, flawless field execution, and insightful analysis and interpretation. Today, P&K is a full-service marketing and sensory research partner to the world’s largest consumer packaged goods companies, with five U.S. facilities and on-site strategic alliances in Europe, Asia, Latin America and Australia. P&K has every research service, facility and specialized expertise needed by clients in consumer packaged goods, consumer durables, and consumer services to successfully bring their products and services to market. A behavioral scientist, Bev is internationally recognized as an expert in consumer product testing. She was among the first to apply sensory and consumer testing methods to new product development. Her collaboration with Dr. David Peryam at the Food and Container Institute for the U.S. Army set forth the foundation for many of today’s methods and practices utilized in new product research. A highly trained researcher as well as experienced corporate manager, Jeff has played a key role in the development of many of P&K’s information technology innovations since joining the company in 1982. Dan has played a key role in developing P&K’s tester database and managing the expansion of P&K’s extensive testing facilities. He honed his skills as a sensory scientist under the tutelage of Dr. David Peryam, the acknowledged Father of Sensory Science.